Dr. Lucinda Gooseberry, DVM, is hanging out with me today as I loll around on this lovely Thursday, having taken a personal day for no good reason. So far we have done nothing but enjoy doing nothing, which is quite a treat as far as I'm concerned. Here you can see, day off or not, Dr. Gooseberry is very serious about her job of tending to her patients. 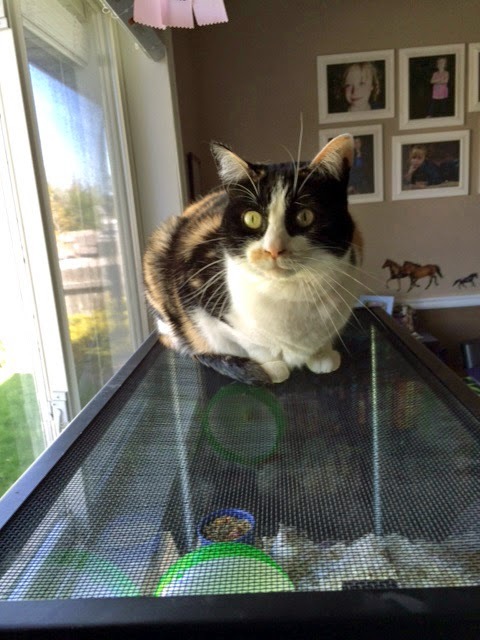 I only hope that the screened lid can support her ample behind indefinitely, because it doesn't look like she's going to move. 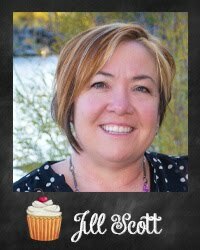 Having recently celebrated Mother's Day, I find myself reflecting on my job as a mother. 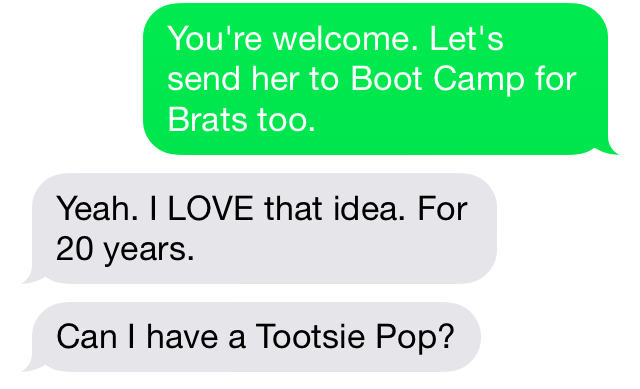 As a work away from home mom, I do a lot of my parenting by phone, which in itself has its own benefits. The largest benefit probably being the lack of sound effects which accompany the parenting of offspring. 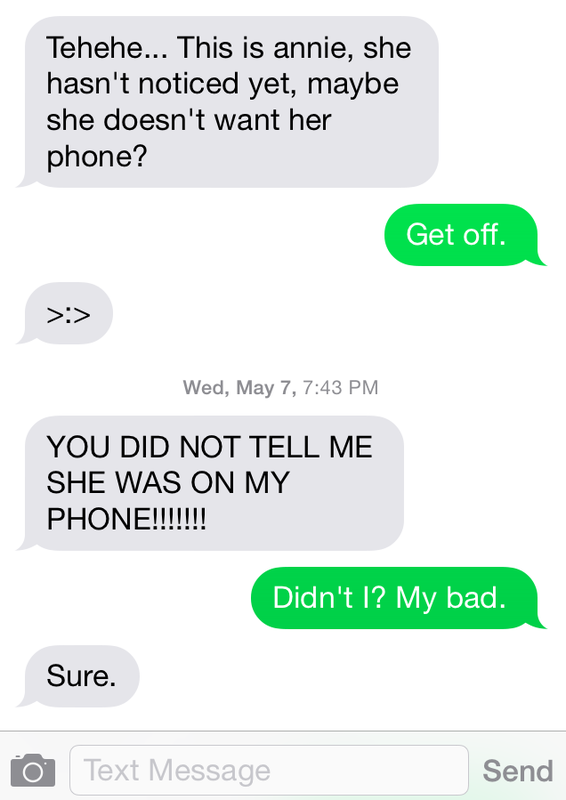 Because I'm sure your kids don't fight like mine, I'm going to share a few of my recent Parenting by Phone screenshots. 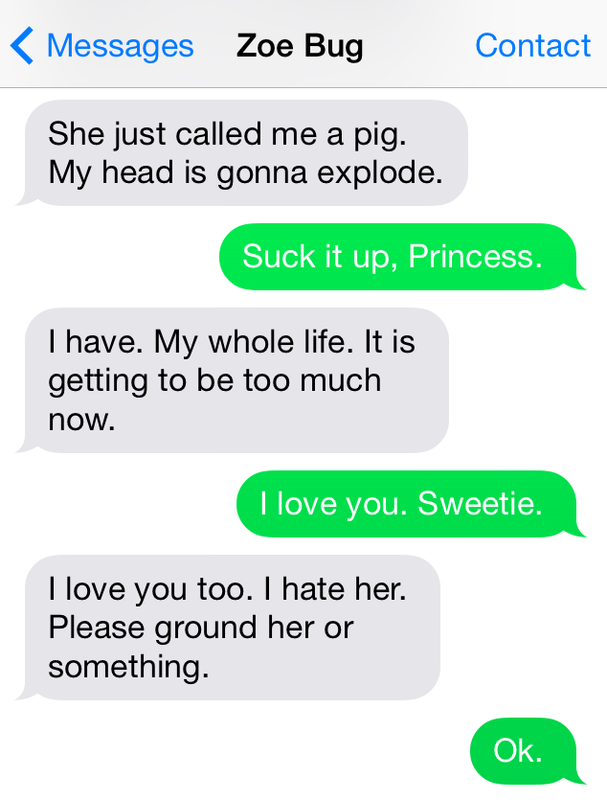 I just love the drama that accompanies Zoe Bug's texts to me. I love and cherish her sweet little, Delicate Flower heart. 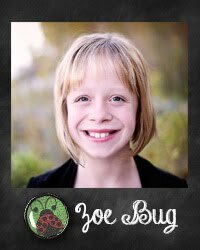 My own mother could tell you, Zoe Bug is not like her mother. 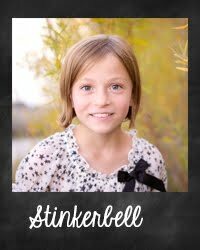 She takes after her Auntie Marcia in her sweetness, and her Auntie Jo Ann in her Drama Llama episodes. Her whole life. Man, that is a loooooong time, let me tell you. I don't know how she even stands it. That change of subject at the end? Totally her Mother's daughter. Squirrel! Aaand here comes the backlash . . .
No wait . . . she's not even done. 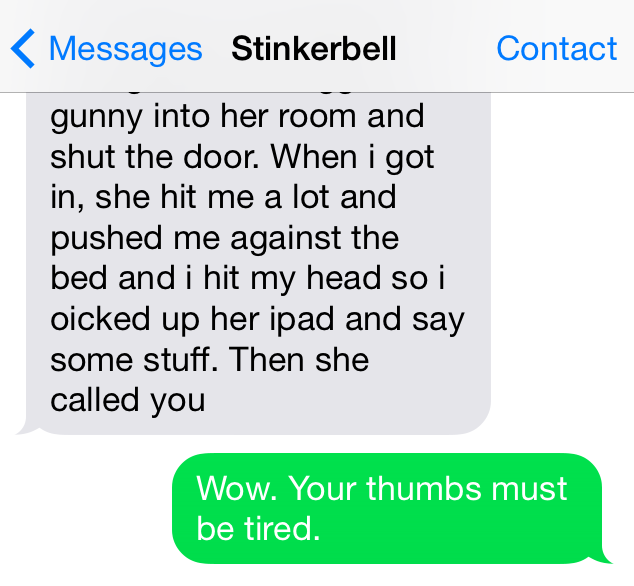 As you may have noticed, Stinkerbell is not a Delicate Flower. She probably gave Gunny Bun Bun the chicken bone just so she could perform the Heimlich maneuver on him. And she takes after both my sister and myself in her street fighting tendencies. Oh yeah. And button pushing. It is our number one, favorite pastime. 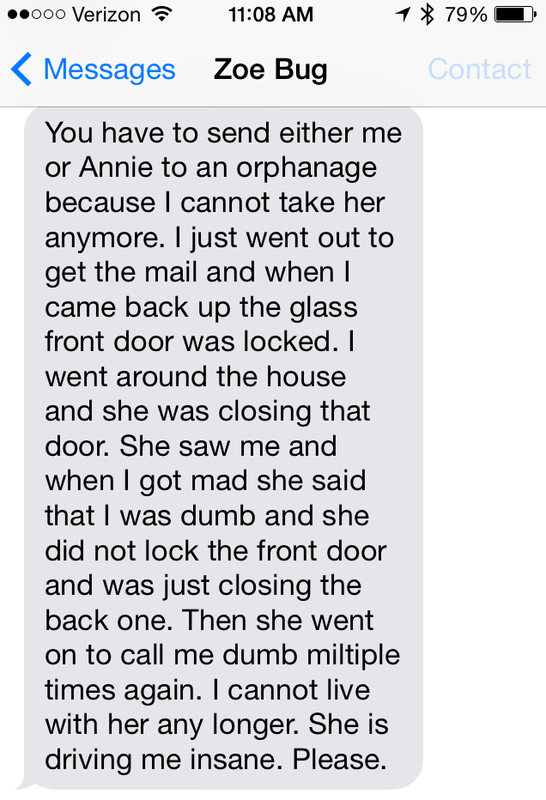 Poor Zoe Bug lives in a house of meaners. I sometimes wonder if we should just spare the poor girl and send her to live with Aunt Marcia. Then her world would be all unicorns and rainbows. And Aunt Marcia would surely let her have a horse. 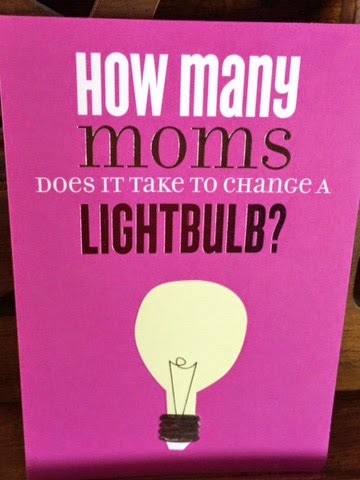 This picture was taken on Mother's Day when we went out to breakfast. After which we came home and I put on my stretchy pants in preparation for my day on the couch for a Walking Dead marathon. I'm slightly obsessed with the series right now. My favorite character is Daryl. I just love him. 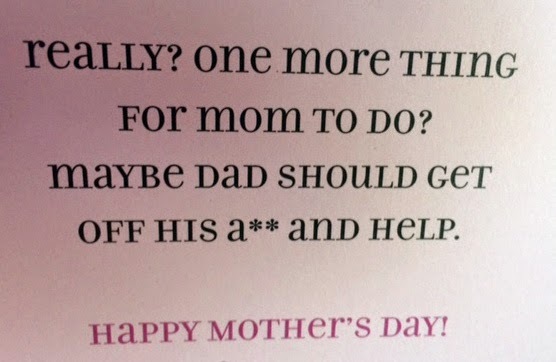 This was not the year for sappy, sweet Mother's Day cards. Check this mess out. 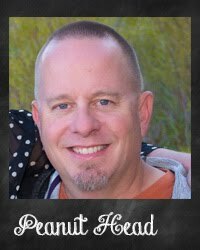 This was from Peanut Head. Nothing about "Thank you for giving me babies" or anything gushy like that. 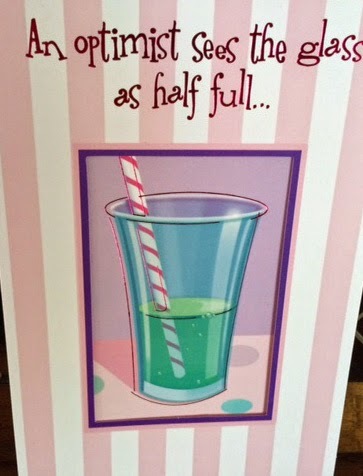 I even got a snarky card from my babies. And while they've reminded me about it, why, in the name of all that is holy, can my family not pick up after their ding dang selves?!!! 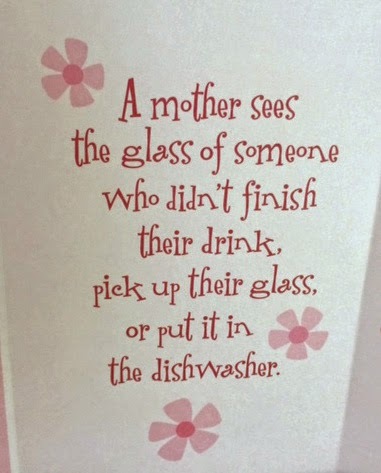 Seriously, is it that hard to move a glass from the counter to the dishwasher? Apparently so, because this is all I talk about in this house.